Each month someone secretly picks patterned paper while another gal picks the image. Then we see what everyone comes up with. It was my turn to pick the image, and I’ve had Daisy for several months, just sitting here waiting for some love. I was delighted with Michele sent us Pink Lemonade from Basic Grey. They worked so well together. Daisy is colored with Copics (specific colors at the bottome) and adorned with Tiny Twinkles from Taylored Expressions on her laurel wreath. 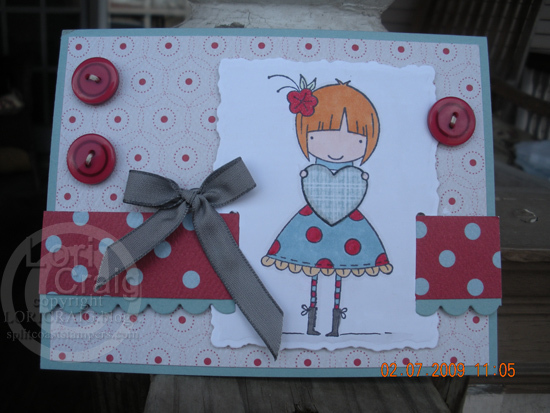 I used my machine stitching to set the paper and a cuttlebug & button flower accent. I paper pieced her shirt from a small snipped of the polka dot paper. This may be one of my favorite stamped images of all time. 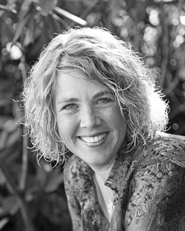 I have plans to meet Karen, the owner of Sugar Nellie this week in Orlando. Meeting people I work with for the first time face to face is one of my favorite things about CHA. 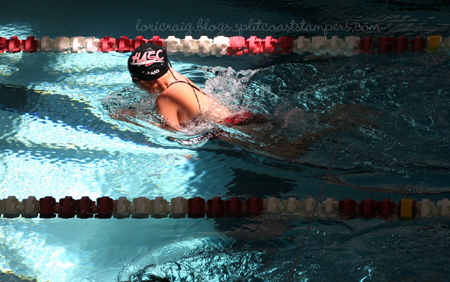 As for that swim meet I was off to on Friday – here’s a shining moment from my weekend. 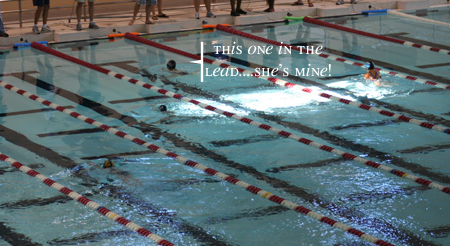 This was the 50 meter breaststroke where my sweet little daughter set a new personal best. Here’s the finish. Love that girl! When the Virtual Stamp Night Showgirls told me we were going to Vegas this week… I was so excited. I knew that this little lady (Giddy Up from Sugar Nellie) was perfect for the Viva Las VSN challenge that Jenn and I are hosting tonight. You can read all of the details here, and I’ll be stalking the uploads at SCS, looking to see how you fare when you ….‘bellie up to the buffet’. I know I’m all about the metaphor tonight, but I think you’ll understand when you read the challenge details. Rodeo Queens are all about the bling. It’s been for-evah… I’ve missed y’all! Since I got home from CHA I’ve had mojo issues, camera issues, photoshop issues and time constraints. I don’t think in 2 years, I’ve had a long stretch of missed blogging like this. I’ve got plenty of new stamps and things to play with – I’m hoping to be back in my swing of things now. I’ve realized that blogging is a bit like therapy, so it does feel good to be typing a post. Hope that you are staying warm and stamping when you can. I’m working on Valentines for the special little people in my life this week. We’re expecting some of our favoritist people in the world to visit next weekend, so I’ll be putting together special little Valentines for everyone. This is a new image is Luvvie from Sugar Nellie. 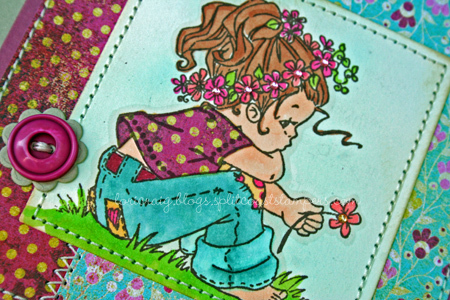 With her pixie cut and darling smile, this card could be for none other than my sweet DD2. 🙂 I noticed that sweet Julie Campbell has been having fun with this image, too. Check her out! Notice my new Deckle Nesties? I was always Deckle Scissor impaired. I would cut straight lines, period. I could never make the corners look natural. 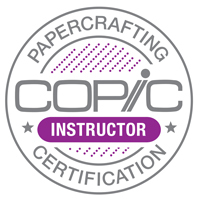 Same with Scalloped Scissors. Now – it’s a breeze to have that look without ragged mismatched corners. Love these. See you soon! I’ve missed y’all! 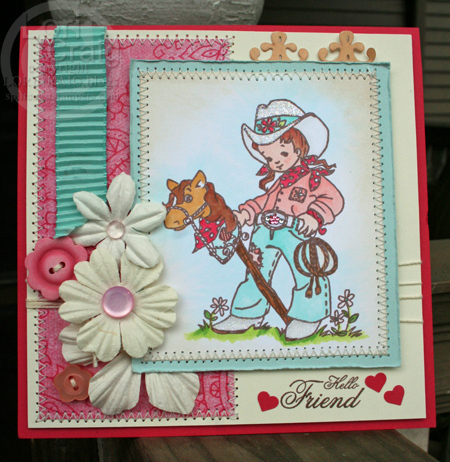 Cardstock: Baja Breeze and Sweet Slumber – Stampin’ Up! 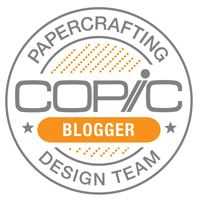 Accs: Copic Markers, Deckle Nestabilities – Spellbinders, Buttons & Ribbon – Stampin’ Up!